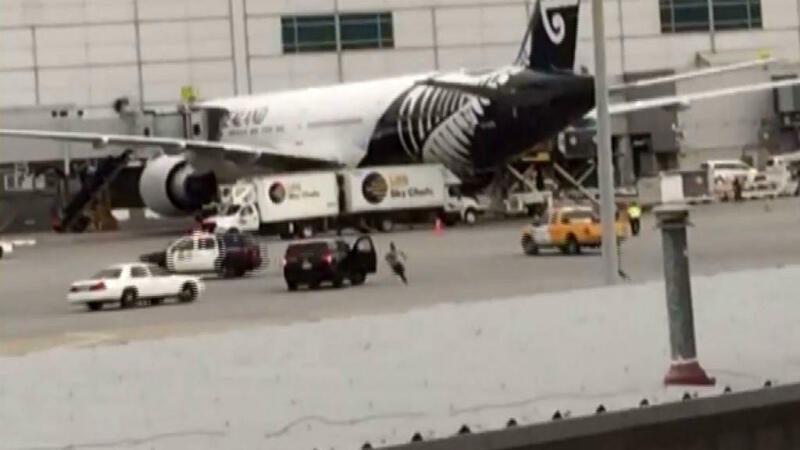 SAN FRANCISCO -- Authorities say a man jumped a fence at San Francisco’s airport and ran onto a tarmac before police detained him. San Francisco airport spokesman Doug Yakel tells CBS station KPIX-TV the incident occurred Wednesday when police were called to the Southwest Airlines ticket counter at Terminal 1 regarding a man who appeared to be under the influence of drugs. Yakel says the man ran off after he saw police and that he was taken into custody after officers chased him down on the airfield. The man was transported to a hospital for medical evaluation and upon his release he will be taken into custody by the San Mateo Sheriff’s Office.